Animals are trying to kill us. At least that’s what Hollywood would like us to believe. 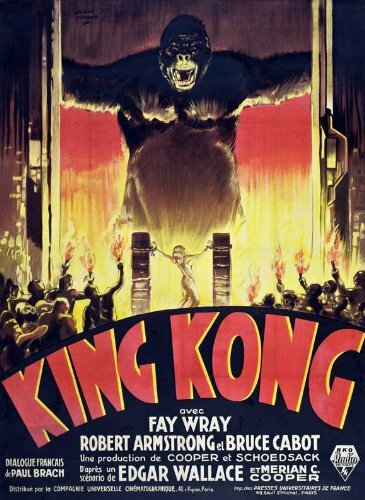 For many years, animals have been the subject of suspense and horror films, and with plots and creatures getting stranger and stranger, (see Tusk and Sharknado), there will always be a place for deadly animals on the silver screen. Here’s a look at some of the most popular killer animal movies. Probably one of the earliest horror movies about animals, The Birds, is a Hollywood classic directed by the original king of horror. 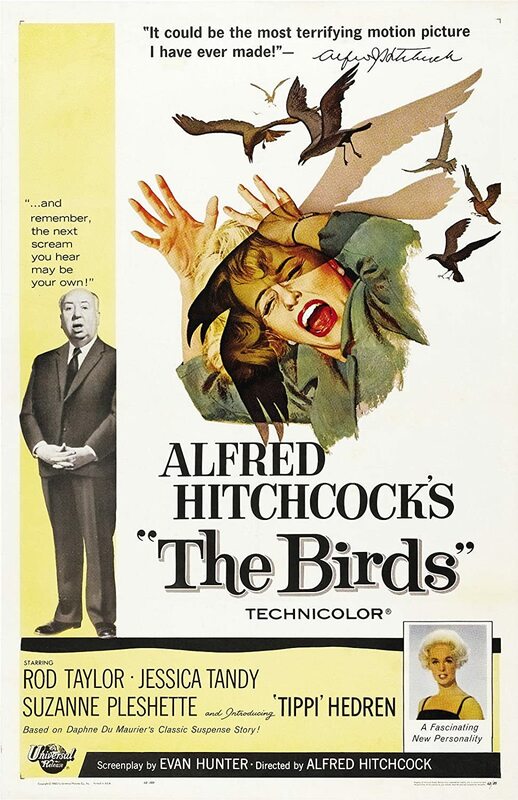 This Hitchcock film depicts a coastal town that experiences a sudden barrage of violent attacks by flocks of birds. Only a genius like Hitchcock could make a seemingly harmless animal look like a dangerous minion of the apocalypse. The interesting part of the film is how there is no explanation for the behavior of the birds and how they indiscriminately attack without any rhyme or reason. One of the most significant and fascinating sci-fi films of our time, Planet of the Apes, is a classic. 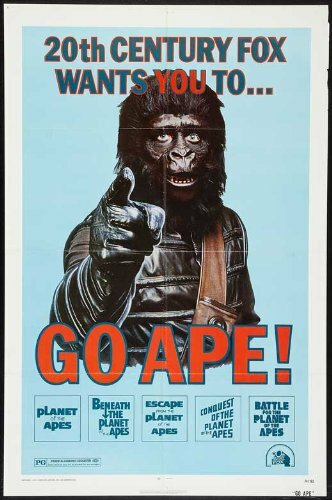 In a world where the tables are turned and apes are the dominant species while humans are enslaved, tortured and killed, this dystopian universe puts the present-day treatment of animals into perspective. Aside from this film being a horrifying premise for the human race, this film also has a solid plot and incredible costuming. It not only received several awards, it paved the way to remakes and sequels showing that this cautionary tale can still make an impact today as it did in 1968. 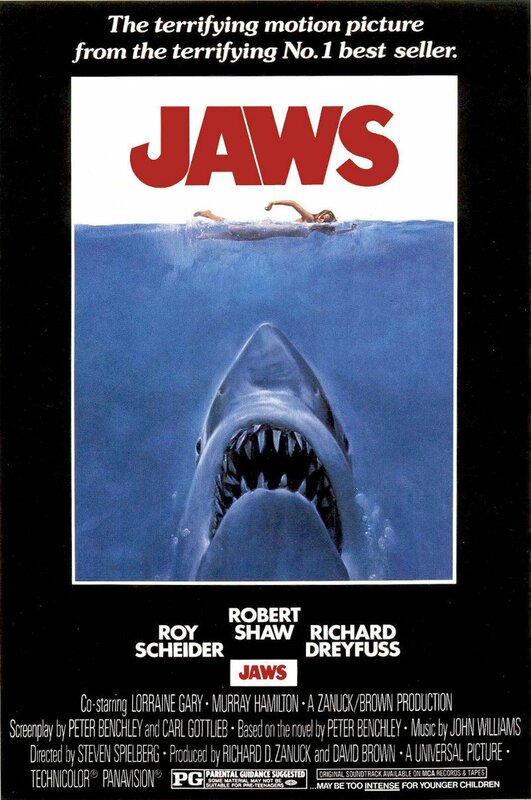 This Spielburg classic not only paved the way for one of horror’s most terrifying creatures, but also a distinctive melody that now accompanies even the mention of sharks. This film sparked a nation-wide fearful obsession with sharks and continues to fuel paranoia at the beach. Even TV events like Shark Week dedicate a full seven days out of the year to debunk the misconceptions revolving these underwater predators. Despite the fact that we only have a 1 in 3,700,000 chance of being killed by a shark, Jaws still remains one of the most terrifying films of all time. What happens when man’s best friend becomes man’s worst nightmare? 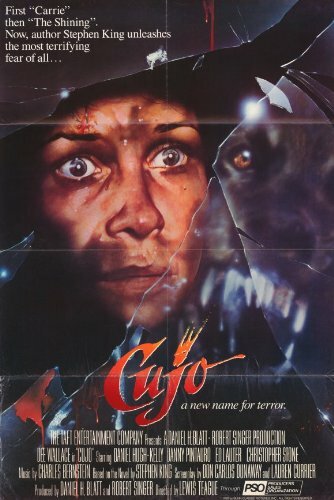 Based on the Stephen King thriller, this movie’s main adversary is a violently murderous dog named Cujo. The Trenton family takes their car to the home of a mechanic named Joe Cambers where they meet Cujo, a friendly Saint Bernard, for the first time. Cujo contracts rabies after being bitten by a bat and becomes an unstoppable force killing everything in his path, destroying the lovable image of dogs set forth by Lassie. 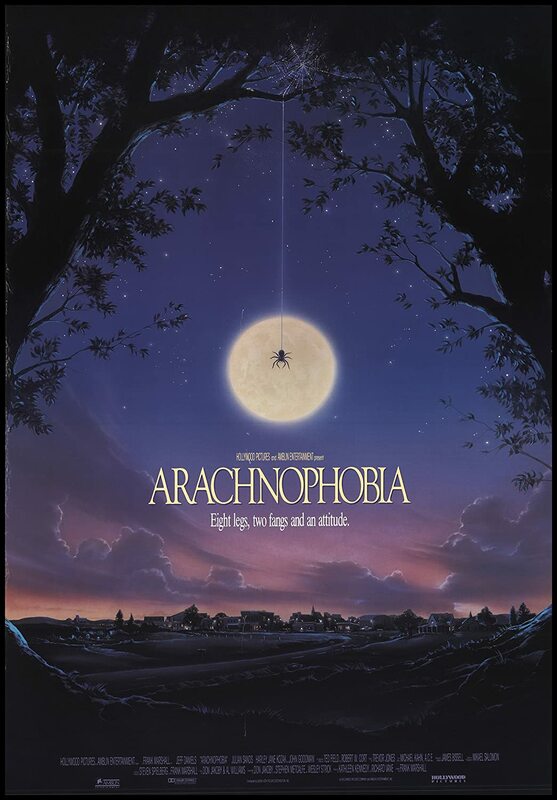 This movie exploits a common fear that afflicts so many people – spiders! When scientists accidentally bring a deadly species of spiders back to the US, a terrifying epidemic begins to spread. The aggressive breed of spiders begin taking over by killing people all over town. If that’s not enough to give you the creeps, the “General Spider” is a crazy, oversized arachnid that’s as frightening as it is deadly. This movie just about puts the nail in the coffin for anyone who is even mildly disturbed by spiders. Before Nicki Minaj so gleefully rapped about the large species of reptile, JLo was busy battling one in the Amazon. As if snakes weren’t scary enough, a group of filmmakers come across a larger-than-life snake while searching for a lost tribe for their documentary. 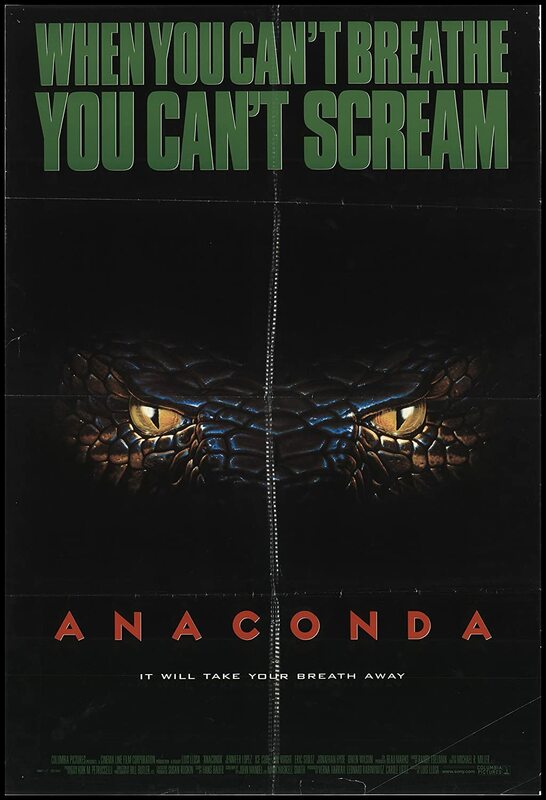 The anaconda, who in the movie could swallow an adult person whole, reminds us that the wilderness is not a friendly place. Though the movie is more cheese than anything else, it still makes you rethink snakes as a species. Speaking of killer reptiles, what could be scarier than a gigantic crocodile? 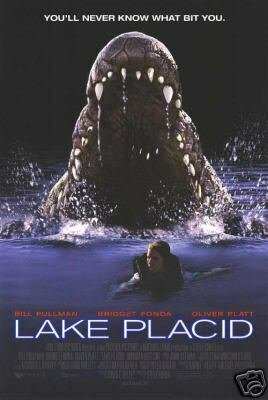 The movie Lake Placid plays out as both a horror and a comedy for its absolutely absurd plot and satirical tone. Nonetheless, a man-hunting crocodile is still the stuff of nightmares, particularly if you plan to spend some time near a lake or swamp. Bio: Kelvin Dang is part of the Digital Ideation team at Pure Costumes. He loves to keep up with technology and movies. He can usually be found tinkering with his transformers or playing video games. Over the last eleven years Kelvin has helped build several web platforms for Pure Seasons Inc., which is the parent company of PureCostumes.com.